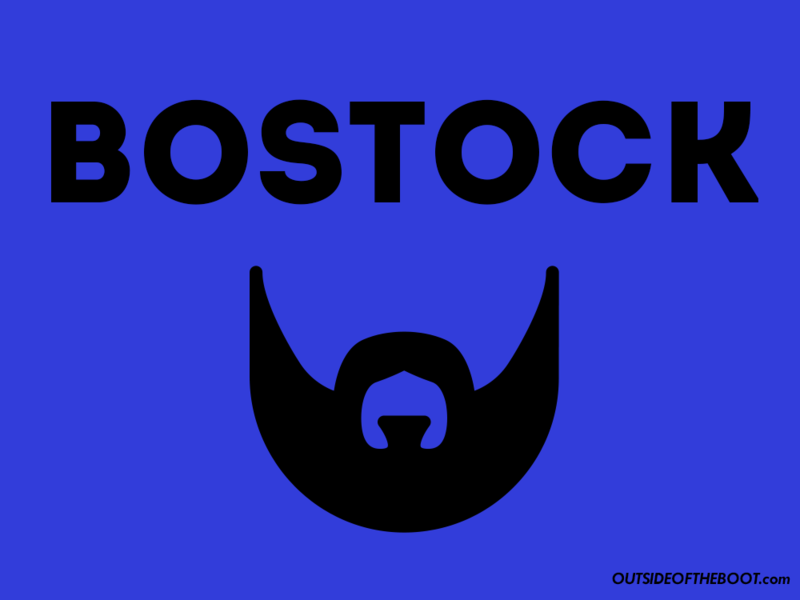 An interview a month in the making – I’m delighted to bring you my chat with John Bostock who, I’m sure, you’ve all heard of. A child prodigy, Bostock played for Crystal Palace before a big-money move to Tottenham where, unfortunately, he didn’t necessarily get the fairest crack of the whip. Not that matters though – now aged 25, John is now part of the RC Lens team which if flying in Ligue 2 and, from an individual perspective, he is lighting the league up. Without any further ado then, let’s get into and find out what he had to say to me. John, thanks for speaking to me, let’s start off at the very beginning – your professional debut came at just 15, against Watford. What are your memories from that game, and were you surprised? Yeah, so, I spent 9 years playing for Crystal Palace from the age of 6 up until I was 15 and it was always my dream to play for the club that I supported – I think people were well aware that I was a season ticket holder at the club from the age of 5; me and my dad used to watch Palace every week, every home game. So when I was 13, 14, the club kind of realised that it was a dream of mine to break the record (as the youngest player to make his professional debut). At that time, I was training with the first team, obviously I was still at school, but one day I came back from school and there was a phone call from the under 18 manager – he told my dad that I was involved with the squad for the first-team. Yeah, it was a big shock but when you work for something, when you have a dream, when it is being fulfilled it feels, nearly, naturally. Obviously, I’m humbled to be able to say that I’ve played for my boyhood club. But, when you want something that bad, the timing may come as a surprise but because you want it so bad, it feels like you’re fulfilling that dream. Just 4 league games later, you signed for Tottenham, at such a young age what was it that motivated you to join Spurs? So, at the time, I had options to sign for many clubs but my family and my people around me, we agreed that Spurs would be the best solution for my development. They set a really attractive offer, in terms of progression and development, for me to be with the first team to play. They seemed like they had a clear route for me to progress so, at the time, that’s what we went with and that’s what motivated me to move from South to North London. After your move, Simon Jordan (owner of Crystal Palace) said he was “disgusted” with you, looking back, do you think this added extra pressure on you to perform? Naturally, yeah, I think when somebody you respect as much as Simon Jordan – you know, he owned the club that I loved, of course I had respect for someone in his position. When he says something like that about you in that situation, obviously, you feel it. But I’ve always loved football and that’s never changed, even when people criticise you or look to criticise your decisions, at the end of the day, it’s the game that you’re in love with not keeping people happy. Of course, I wanted to do my best and probably prove people wrong but, once I got over that, I just wanted to enjoy football. Whilst at Tottenham, you had several loan spells away, I’m always fascinated at what that does to a player’s mind-set – were you happy to go out on loan or were you frustrated at the lack of first team football for Spurs? At the time, I was training with the first team, training with the reserves but there wasn’t a clear opportunity for me to play for the first team. The natural decision at the time was for me to go and play football out on loan. Of course, whenever you go out on loan, you have mixed emotions; you’re filled with excitement with the fact you’ve got a new challenge to go and compete against men, professionally. But also, a bit of frustration because you don’t have the opportunity to prove what you think you can do at your home club. I look back on my loans with fond memories, not just because of the successful times but because of the hard times. I think going out on loan was probably some of the most difficult moments in my career so far and, those have definitely helped form me into the man I am today. I believe that you learn more through your failures than from what you succeed with in life and going out on loan, having to adapt to new football changing rooms, new philosophies, new managers, new cities, new fans, it’s not easy but it held me in good stead for where I am now, for who I am now. I am grateful to have gone through that process, probably wouldn’t have been the one I chose but sometimes what you choose isn’t always what’s best for you. Now, obviously everyone knows of the hype surrounding you as a teenager and before we move on to where you are now, if you could go back, would you change anything or do you see it as a blessing in disguise? Both, I think as you grow up as a young man, you’re never going to make the right decision every time. If I could go back, I think I could have made better decisions, better footballing decisions. However, I do believe that God pulls things together for good, so nothing is wasted. I am so happy that even though some of the decisions I made probably weren’t, with hindsight, the best decisions, they have made me the man that I am now so, I’m grateful to have made mistakes, gone through difficult moments and, also to have chosen the wrong decisions at times because you learn from your mistakes, you learn from hardship. So, that question, I do have regrets in life – every man does – but I do see it as a blessing. Your first spell abroad was actually in Toronto, how did you find the MLS, especially with it being a summer only league? Yeah, it was a loan, I had a trial with San Jose Earthquakes for, I think, 3 weeks. Then I went over to Toronto and we got the loan deal sealed, I was under Ryan Nelsen – his first job as a manager – obviously he was at Spurs before, so when I went to Toronto enjoyed playing there. It’s a great city, the MLS is a completely different league, surprisingly a very high standard which is growing every year, a whole mix of players. But I enjoyed it, I went there, I was played out of position but I played a few games, I was only there for a short period of time, but even being played out of position, being halfway across the world, you learn to adapt through those things and it’s helped me to really embrace where I am now in France. Shortly after that, you became a free agent and signed for Royal Antwerp. What motivated you to move abroad? So my contract at Spurs finished and I had a couple of offers in England, a few abroad but the one that really stuck out to me was Royal Antwerp. At the time, Jimmy Floyd Hasselbaink was the manager, had his first managerial job and he basically said how much he wanted me as part of his team. Coming from an environment where I wasn’t really part of Spurs, my number one desire was to go and play football, not to pick the biggest club, I just wanted to play football again. Obviously, at Spurs, my confidence was knocked and, you know, when your confidence is knocked, you ask yourself some questions – are you good enough? Have you still got the talent? Why hasn’t it worked out for me? So, I thought, let me just start again – let me just start again, go and play and just enjoy the game again so I had that platform in Belgium and it was absolutely fantastic. Probably the biggest transformational season of my career so far, the first year, I think I was 21, I had played over 10 games in the season so I can’t thank Jimmy Floyd Hasselbaink enough, for just letting me play, giving me the freedom to express myself. That was my main reason behind moving abroad, just to go and find a footballing home – to play and have a platform to show what I can go and do. As you say, Jimmy Floyd Hasselbaink was your manager, what did you learn from him? The first thing you see with Jimmy is his passion – his passion for life, his passion for the game – immediately, you had respect for him because of what he did as a player but then that quickly gets married with the fact he’s a very good manager. He’s very demanding, got high expectations, as you can imagine from what he did in his career. He loves the game, he knows the game inside out and he knows how players work, how we think so that really helped us in that season – we just missed out on the playoffs, there were a lot of problems at the club that season in the board and stuff, so he did a great job at Antwerp, in his first club. Obviously he went to Burton after and showed just how good he was as a manager. He just gave me a lot of confidence, he put his arm around and helped me really believe in myself and the ability I’ve got. He helped me to progress. After one season you moved to OH Leuven where you helped them to promotion with 13 goals (in all) and 19 assists – could you feel your career moving forwards and how happy were you in Belgium? Initially when I went to Belgium I thought, “okay, go to Belgium for a year, come back to England and play again”. But I enjoyed it so much there that I moved again to OHL, who had just came down from the First Division and wanted to go straight back up. They had a strong squad, a strong structure. So I signed there and hit the ground running, with them goals and assists. It was an amazing year, in football sometimes you want to really sprint, sometimes you want to just go so fast to the top that you can’t forget it is a process. Leaving Spurs, going to Antwerp, going back up with OH, it was just gradual steps of progression, I think it was just the fruit of me really enjoying my football. I felt wanted, I felt I had a place to prove myself, a place to express exactly what I could do, what was inside of me. I had such great times at Leuven, getting promoted was probably the highlight of them all. 5th July 2016, you move to RC Lens in Ligue 2, what were your first impressions of the club? So, I love football so I know a little bit about football history but not that much of clubs abroad and I remember Lens, seeing pictures of Lens in the Champions League – I think it was in the 2000-01 season, games against AC Milan and stuff. But, other than that, I didn’t really know too much about the club. I knew they had good fans but I didn’t know how good they were. My time at Leuven had finished and I had several offers around Europe to play. But then, I had a phone call from Lens. I didn’t really, really want to play in France but then I thought, let me just go and see the stadium, let me go and see the setup and I went, I saw it and I was just blown away. I saw the stadium – where a lot of the games of the Euro’s last year were held – and I was amazed. I didn’t really want to play second division but I fell in love with the club, the vision, the dream, the project and I thought, let me do my best, come here and take the club up. Because I had offers in Serie A, the Belgian Pro League, English Championship so I had some really solid offers – also in the Eredivisie in Holland – but something about Lens, I really felt as though that’s where God wanted me to be, that’s where I wanted to be. So, ever since I’ve got here, they’ve made me feel like I was at home. Obviously, at the beginning, the language barrier was pretty tough but I’ve adapted pretty well to that now. The fans, though, have been amazing. The Lens fans are known to be some of the best in France and I’ve experienced that first hand; when you’re playing in the second division, you want to play in the first division but when you’ve got 25-30,000 fans every home game, it’s humbling, it’s incredible. It’s been a great season for you personally, with 2 Player of the Month awards, it’s got to be good to be getting the recognition you deserve? I don’t like to say what I deserve, to identify myself by what people are giving me or being rewarded for what people think of me. I’m a Christian and my identity comes from who I am as a Christian, I’m a husband second and I’m a father so these are the things I put most value on in my life. Obviously, though, football is my passion, it is my dream and it’s what I’ve loved ever since I was a little boy so it’s nice to be doing well in my passion. When you’ve been on a road, on a journey, like I’ve been on, with ups and downs and challenges, you enjoy and appreciate the successful moments a lot more. So coming to France, winning those 2 Player of the Month awards and now with my team sitting in first place with 8 games to go, I can honestly say, I’m happy with where I am. The journey is far from finished, I’m still 25. I’ve got a lot more time for me to improve but I’m very grateful that I’m playing the game every day. Yeah, we’re first in the league at the moment, 8 games to go and we believe it’s in our hands to take this club up now – we’re in great form, the team is playing really well. With regards to my future, I’ve been around long enough, I’ve been a professional for 10 years now so I know that you can’t predict anything. My contract is until 2019, so my main focus is getting Lens to Ligue 1. That’s a dream of mine and we’re very close to achieving it. Once that’s done, we’ll look at our options but I’m really enjoying my football here. Internationally, you’ve been selected for Trinidad and Tobago. Was this an easy decision to make, given you’ve been capped by the England youth teams? Yeah, you know, I enjoy playing club football but it’s always a dream for me to play internationally. Obviously I was eligible to play for Scotland, Trinidad and England; I’ve not made my international bow as of yet but, when the time is right, I believe I will make that step into international football. You’re a religious person, how big an impact does this have on your life – as a footballer and as an ordinary person? I guess, ever since I was 2 or 3 years old, football was all I knew and what I put all my hope and trust in. But growing up, there’s a lot more to who I am as a person – I’m not just what I do with a ball at my feet. It makes you see life a little bit differently, so when I was about 16 years old, 15 or 16 years old, my life completely changed. People might call it religion but, honestly, I just see it as a relationship with God, my life has been transformed. My relationship with God, it’s helped me to see life differently, to see football differently, I still love the game the same, it’s my passion. But my identity is not defined by football, if I have a bad game it doesn’t mean I’m a bad person, if I’m not playing well, it doesn’t mean I’m a failure. Number one, God loves me and I love God. This is something that can’t change – football changes all the time, you play well, you don’t play well, fans can be happy or upset – but one thing that doesn’t change is God. He’s always the same and his love remains the same. So it’s important that I put my hope and trust into something that can’t change. God’s helped me to not give up, to keep pushing and to see me life how he wants me to see it. Also, I’ve been able to encourage a lot of Christian footballers in the game – I’ve started a movement called Ballers in God, on Twitter and Instagram (website coming soon), we’re a movement of Christian footballers who connect, encourage each other, talk on Skype and WhatsApp and we have a real good connection of footballers all across Europe. They’re footballers but we have one thing in common – that we’re all trying to put God first in life – it’s been a real encouragement to have gone through what I’ve gone through and to be able to be able to encourage people in a similar position to me. You’ve got a kid as well, Joah, does he help put everything into perspective? A hundred percent, my wife and I have been married for 6 years and Joah came a little over a year ago now, our son Joah – “J, O, A, H” – so yeah it’s an absolute blessing, it’s such a pleasure seeing yourself in a little person. Already I can see he likes football, he loves watching it whenever it’s on TV, he loves kicking the ball around so, it’s amazing being a father. And finally, would you like to see yourself in the Premier League again or are you happy as it is? I think, again, to that question, both; I’m happy as it is but I have dream, I’d love to play in the Premier League again but if it’s not, I’d be happy to play in the First Division in any other country but obviously I grew up in England watching Match of the Day so it would be great to be back playing in that competition. As it stands I’m happy progressing and trying to take this club to the first division. Cheers for taking the time to answer my questions! 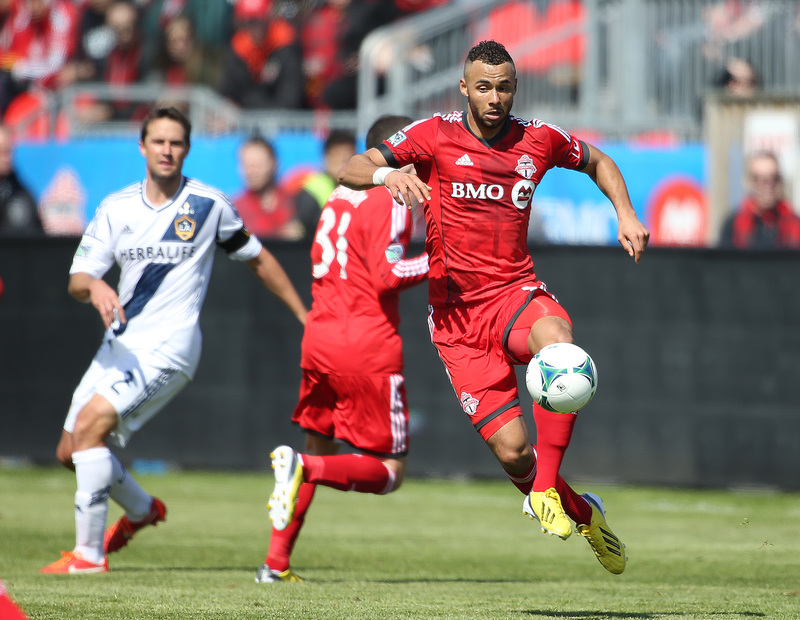 So, there you go, that was John Bostock on his career so far and what may lie ahead. It was a genuine pleasure to speak to John, he seems to be a very humble bloke and, if you ask me, it’s a shame more footballers aren’t like him. My thanks then to John Bostock and, indeed, his wife Sia for helping this interview become a reality, I wish them every success in the future.